Save the date! Dr. Veronica Johnson, Catherine Scholz and DJ Roberts will be part of a panel discussing how to recognize signs of depression and suicidal thoughts. 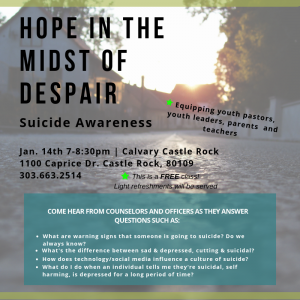 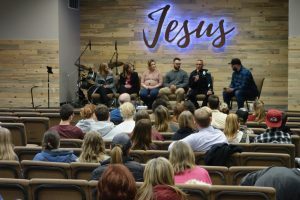 It will be held at 7pm on January 14th, 2019 at Calvary Castle Rock.